Gun.io is a freelance site that allows business owners to hire freelance software professionals. It connects clients to a pool of more than 25,000 hand-picked freelancers on the platform. In this review, we compare the most popular pricing options available. As of the date this article was written (4/03/18), there are not a lot of user reviews of Gun.io available online. If you are a past or current Gun.io customer, leave a review to help others that are deciding whether or not to use the company. Gun.io is specifically made for projects that will typically last more than two months. The pricing depends on the freelancer’s experience. Hourly rates can range from $75 to $150 per hour. A custom quote can be requested from the Gun.io Team. Check out the list below for some of Gun.io’s features. Exclusive Freelancers – Ensures that the freelancer works exclusively on your project for better quality of work. 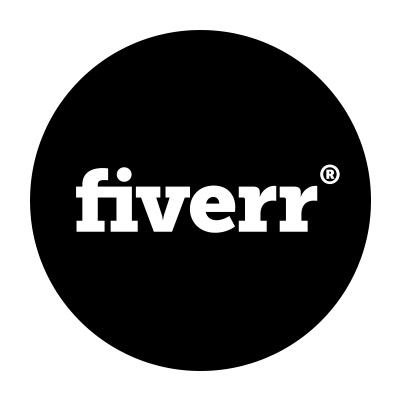 Higher Pay, Higher Skill – Guarantees that the greater your investment on a project, the more quality freelancers you will get. Talent Replacement – Ensures that you will work with top-tier talent and delivers new talent options if need be. Top 59 Free Job Posting Sites & Paid Options for Small Businesses – Read this article for a quick go-to guide on the best sites you can visit to find new talent for your business. 6 Best Freelance Websites for Employers 2018: Upwork, Guru, Fiverr & More – We looked at six of the most popular freelance websites with affordable pricing and features a small businesses would want, such as competitive pricing and safe payment processing. 29 Creative Ways to Find Employees Online & Off – While it’s easy to find employees, it’s difficult to find great employees who will add value to your business. In this article, we asked small business owners to share how they find great employees in addition to online job boards. How to Find & Hire a Technical Recruiter – Not sure if you need a technical recruiter for your business? We discuss how to determine if you need a technical recruiter and how to best look for one that is suitable for your business’ needs. Clients control their total dollar spending by setting the priority of usage of their investment on the platform. “Refilling” of a sprint (a mutually-agreed two week work period) happens every two weeks, when the investment is close to $0. What type of clients does Gun.io work with? While Gun.io has worked with some Fortune 500 companies, most of their clients are small firms. Does Gun.io also help build teams? Yes they do. To do this, freelancers are assigned meetings with key members of a client’s Gun.io team in order to build rapport among the members and gauge how well the members can work with each other. This video provides an overall background on what Gun.io can do to help users hire professional software freelancers using their platform. Not sure if Gun.io is the right fit for you? Read our reviews of all top freelance sites for comparison or check out one of these three Gun.io competitors.